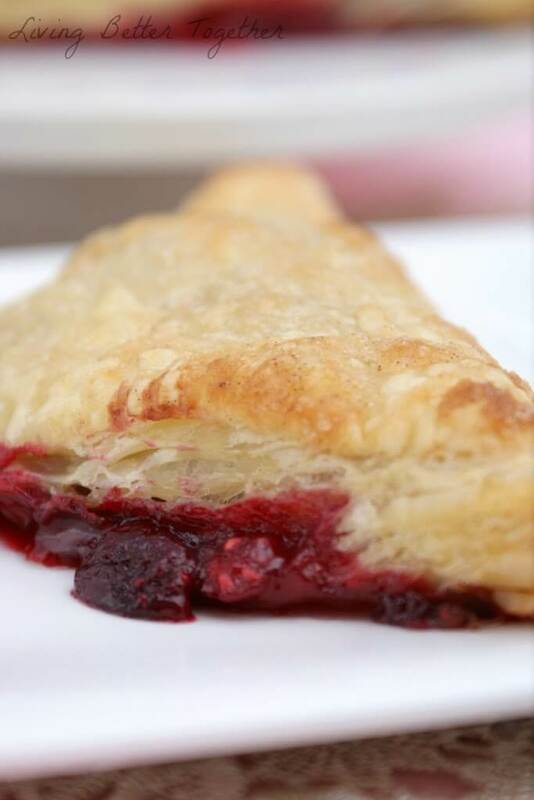 I’m a total sucker for raspberries and anything wrapped in pastry dough, but summer is gone and my beloved raspberry turnovers needed something to make them a little more seasonal. 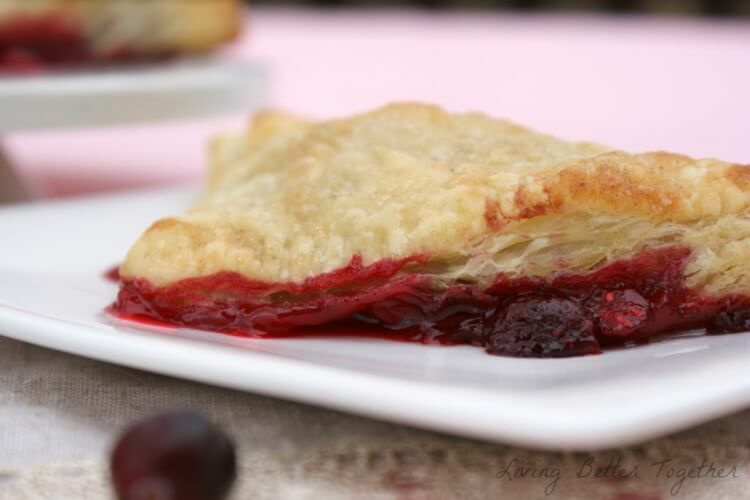 Tart, delicious, and the perfect thing to make these turnovers holiday worthy. 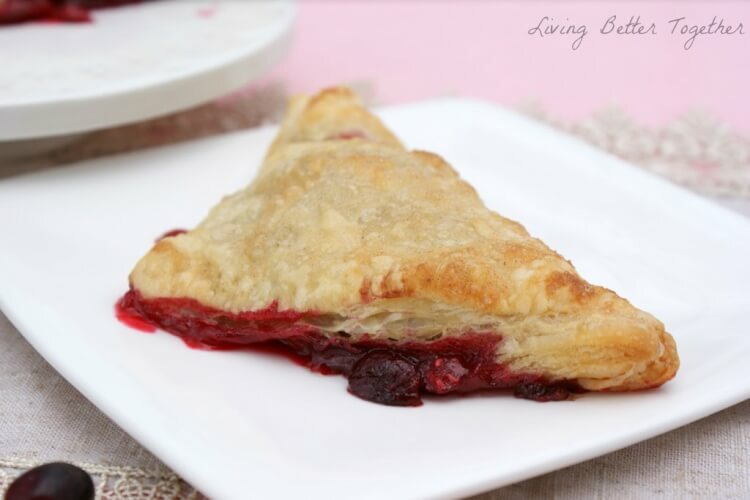 I love how easy turnovers are to make, a little pastry dough, fruit, sugar, spice, and butter, and you’ve got yourself a great little treat! Place thawed pastry sheet on parchment paper on a baking sheet. Use a floured rolling pin to fix the weak spots in the dough from the folds. Cut pastry dough into 4 even squares. Add raspberries, cranberries, 1/2 cup of sugar, 1/2 tsp. cinnamon and corn starch to a medium bowl and mix until fruit is fully coated. Spoon fruit filling into one triangular half of the dough, leaving about 1/2 inch of room between it and the edge of the dough. Repeat for the others. Fold dough over and secure edges by pressing together with the prongs of a fork. Melt butter in a small bowl and add 1 tbsp sugar and cinnamon, brush over turnovers. Remove from oven and let cool on the pan for about 5-10 minutes before serving. These were so good, great for breakfast or dessert! Make them for Thanksgiving or Christmas morning when you don’t want to put too much thought or effort, but still want something that is sure to please. 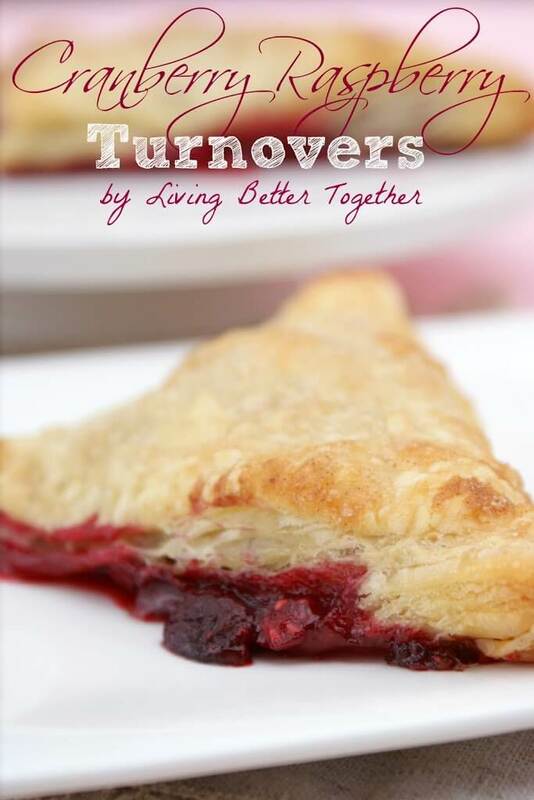 Turnovers are so easy to change up the flavors, you could even have a little turnover breakfast bar. Everyone can fill their own with what they like and pop them in the oven to bake. Once their done you can top them with delicious sauces and pair with a helping of ice cream. Now that sounds like a fun dessert alternative to a dinner party or even a Tuesday night!